To Be Green. To Be Responsible. To Be Sustainable. Progressive is focused on being responsible for a sustainable future. 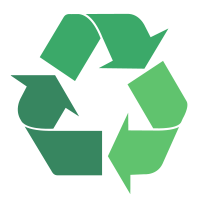 We recycle over 200 tons of paper, metal, cardboard and plastics each year. Progressive prints with soy based inks and water soluble coatings. We promote using recycled papers or those certified as FSC (Forest Stewardship Council-Certified papers). In addition to our ecological responsibility, Progressive believes in community responsibility through continued support of groups such as; No Child without a Christmas, Wounded Warriors Fund, Forgotten Harvest, Make-a-Wish Foundation® and numerous local, in need individuals and charity events.